Yemi Alade has stated that she is at the same level as the likes of Wizkid and Davido and anyone who thinks otherwise can go ask the show promoters who have all the numbers. In an Interview on Hot 98.3 Fm, Yemi Alade spoke on a number of topics ranging from happenings in the country, adjusting to stardom and comparisons within the music industry. ”I have not adjusted, I have just adapted because I don’t think this growth involves me changing who I am, that is like the most important thing, it used to be difficult but not it is my way of life”. Adding that her mother still serves as a check and balance in her life. Yemi Alade is one of the busiest African artists as she recently concluded the European leg of her Black Magic tour, which saw her transverse major European cities, with a successful grand finale concert in the Netherlands. ”I just concluded my 13 cities European tour and the turnout was amazing. 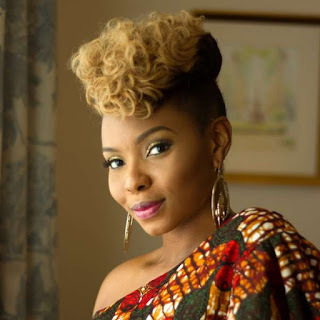 The successes of Wizkid and Davido, performing at sold out concerts globally have been well documented and publicized, while that of artists like Yemi Alade, despite also shutting down major events rarely gets an equal mention, but the comparisons do not bother her as she believes there is really no number one. I respect everybody, we all inspire each other in this industry… there is actually no number one because your top five artists in Nigeria that are the biggest in Africa can shut down the exact same capacity, the same capacity Wizkid holds down in Africa, I hold it down, the same capacity Davido holds down in Africa, I hold it down, the same venues, we all shut it down. She also announced that she will be going on her tour of Canada at the end of July and is working on her concert back home in Nigeria soon.